Toronto, ON – The Ontario Hockey League, in collaboration with the Canadian Hockey League and Hockey Canada, announced today that Hamilton Bulldogs forward Matthew Strome and London Knights goaltender Jordan Kooy have been added to Team OHL’s roster for the 2018 CIBC Canada Russia Series. 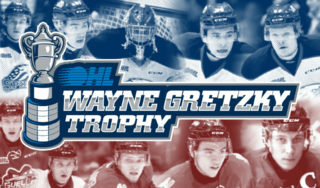 Strome will compete for Team OHL in Game 3 of the series in Sarnia set for Thursday November 8 dressing in place of Niagara IceDogs forward Akil Thomas who is unable to participate due to injury. 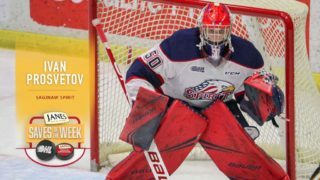 Kooy is slated for Game 4 in Oshawa on Monday November 12 in place of Matthew Villalta of the Sault Ste. Marie Greyhounds who is also unable to play due to injury. So far this season Strome is third in team scoring with six goals and 13 assists for 19 points in 17 games. 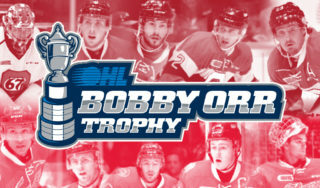 The 19-year-old from Mississauga, Ont., helped the Bulldogs win their first OHL championship three years after becoming the club’s first ever pick in the OHL Priority Selection going eighth overall in 2015. During that time he’s amassed 187 points over 209 regular season games including 93 goals and 94 assists. Strome is a Philadelphia Flyers prospect chosen in the fourth round of the 2017 NHL Draft. Kooy currently ranks second in the league in both goals-against-average and save percentage with marks of 2.27 and .926 respectively. The 18-year-old from Bradford, Ont., carries a 6-1-0-0 record playing in his third season with the Knights since joining the club as an eighth round pick in the 2016 OHL Priority Selection. Kooy is a Vegas Golden Knights prospect after hearing his name called in the seventh round of the 2018 NHL Draft. Both players will have teammates in the games as Strome joins fellow Bulldog MacKenzie Entwistle in Sarnia and Kooy joins fellow Knights Alex Formenton and Liam Foudy in Oshawa. 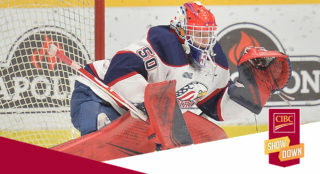 All games of the 2018 CIBC Canada Russia Series will be available online through NeuLion’s CHL streaming platform at http://chl.neulion.com/chl/. The 2018 CIBC Canada Russia Series is supported by title sponsor CIBC, the Official Bank of the CHL, along with associate sponsors Kia Canada, Sherwin-Williams, Cooper Tires, and Kubota Canada.